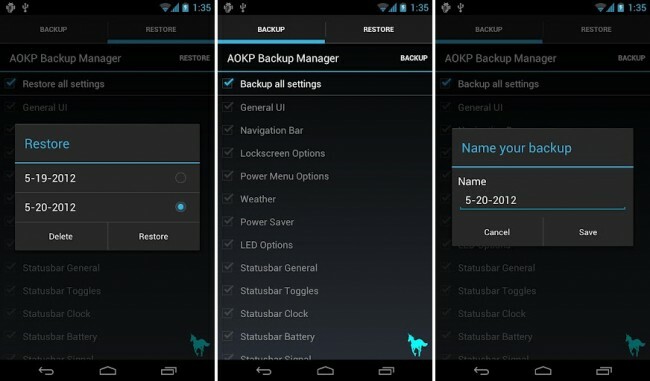 Users of the Android Open Kang Project ROM can install an application from the Play Store that will backup almost every single AOKP setting you could imagine, making flashing and restoring ROMs as easy as 1,2,3. Users will need to be on the Milestone 5 build or newer in order for it to work, but Roman is looking to make more earlier builds supported. 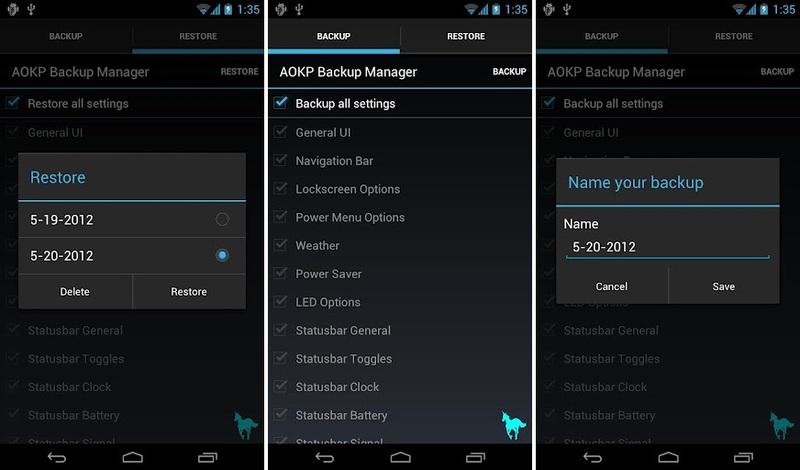 The application is two bucks, but you’re directly supporting the developer, so show some love if you happen to run AOKP on any of your devices.